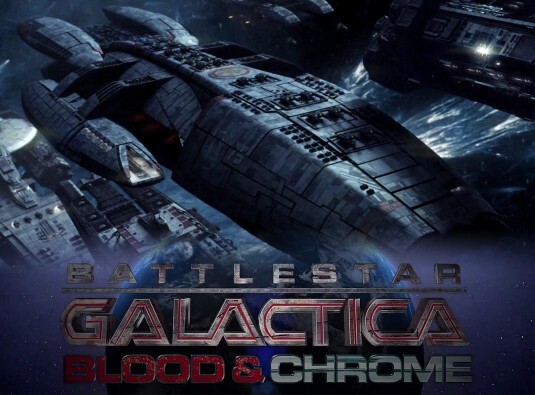 I recently discovered the Battlestar Galactica: Blood and Chrome web series. Watching it prompted me to finally complete the Battlestar Galactica saga by watching all the peripherals. I’d seen Razor and The Face of the Enemy long ago, but I’ve had The Plan sitting on my desk for months, and Caprica? Well, I tried when it first came out… but more on that later. I tried and failed to get into this series when it first aired. Supposedly I should have loved it since BSG’s space fights and such were not as attractive to females and Caprica was created with that in mind, but I quickly lost interest in white corporate Caprica and its melodramatic obsession with religion and Zoey Graystone. Maybe it’s because I was still too upset about the ending of BSG that I was unwilling to give this a chance until I'd come to terms with season 4.5. Maybe it was because I, despite being a female, wanted Caprica to be more like its parent and less like a corporate drama. Either way, I managed about 3 episodes and then gave up. I tried again last month. Hulu only had the last five episodes which was more than enough for me to get the idea and confirm that the show just didn’t work for me. In fact, when reviewing some wiki details to fill in what I’d missed, I got the distinct impression that Caprica hadn’t worked for fandom and creators, either. I was surprised to find how little reference back to Caprica exists within the overall BSG information. 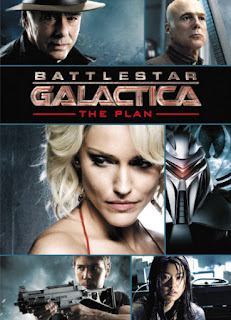 Beyond surface references, such as stating that cylons were created by Graystone Industries, there was no real depth in connecting Caprica to the future. It felt as if the events of Caprica were accepted as canon, but Caprica was that awkward family member that you have to include on the family tree, but don’t really want to invite to the family gatherings. There were very few memorable characters. I admit again, that I only watched the last five episodes, but it was enough for me to get to know the main characters and enough for me to not care about them and their issues. The main story arc was the religious battle between those who believe in the one true god and the polytheistic beliefs of everyone else. The monotheists were depicted as extremists, performing violent acts that eventually culminated in the glorious ascension into virtual heaven. Somewhere along the way, they take the cylons with them, forming the basis of the monotheistic belief of the toasters, and encouraging them to free themselves from the human oppression. In the mix is Zoe Graystone, who dies early on, but whose virtual self integrates with the cylons her father created. Zoe believes in the one god and/or decides she is the one god, and somewhere along the way through her, we are introduced to skin jobs and self-aware cylons and tanks and… I assume all of this would have been explored further had the series continued, but I suspect that Ron D. Moore would have gotten carried away with the multi-plots and lost focus. Caprica’s death after only a season was decidedly a good thing. I can’t forget to comment on the Adama factor. What’s a BSG series without some Adama? In this case, it’s William Adama’s father and grandfather who are/were part of a religious/rebel movement on Tauron. This conflict was one of a few plot elements that tried to show us that, while the cylons were the ones who started the later war, there was always conflict between the colonies. We knew from BSG that this was the case, and this was, I suppose, trying to provide details, but instead, it was a convoluted mess. The problem Ron D. More seems to have is focus, as I’ve mentioned. The Plan served to provide the focus that was lost along the way in BSG. The series opening talked of the cylon “plan” but as time past, we never really understood what that was. The Plan reveals that this was all an elaborate scheme created by the One model because he was mad at his parents. The Plan tries, perhaps too hard, to tie everything up in a nice little bow in order to explain how the humanoid cylons came to be, why they started the war, and all that Final Five business. It does successfully answer all the questions, and I can overlook the too convenient and/or over-explained moments because of how well it was presented through new scenes and scenarios seamlessly woven in to the established events that we saw during the series. Basically, this was BSG through cylon eyes. It was a moving addition to the lore. We’d already known how human the cylons were becoming human and that many of them ultimately came to regret their actions against humanity. This stepped a little further. Tricia Helfer was amazing and that really goes without saying, but what I really loved about this was the opportunity to see far more of Simon’s model. He didn’t get a lot of screen time during the series and he apparently wasn’t even necessary for some of the important group decisions made on the basestar, but here, we got to see far more of him.